1. Are my expectations realistic? This is the single most important question you must ask yourself. Always do research before committing to any treatment altering your appearance and make sure you understand the limitations of the procedure. If after your consultation you're still unsure of your potential results from Botox… Do an internet search to investigate other's experiences. 2. How Can Botox Impact My Life? While the other questions on this list deal with the negativity and realities of receiving Botox treatment… This question is a chance for you to contemplate the benefits. Put simply, what do you have to gain from this procedure? Consider how a more youthful appearance would make you feel and how dissatisfied you are with your current visage. 3. Is Botox worth the risk of potential side effects? This is a question a patient must ask themselves before taking any medication or undergoing any medical treatment, including those intended for cosmetic purposes. The most common side effects are only superficial and occur directly around the injection site. Be aware that headaches, weakness of affected muscles and brief reactions related to the eyes directly after treatment have also been reported. Since Botox is produced from a toxic protein… It's possible for this toxin to spread to other parts of the body and trigger a life-threatening response. There are additional possible side effects if you have Botox administered for non-cosmetic purposes, such as treatment for an over-active bladder or excessive sweating. 4. What if the results fall short of my expectations? Even if you approach the situation with realistic expectations… There is always the possibility The results will not be quite as drastic as you desire. This could be due to a number of causes… Such as your body's natural resistance to the procedure, The severity of the affected area or human error on the doctor's part. Many of these variables simply cannot be controlled, which is why there is always a corresponding chance of something going wrong. 5. 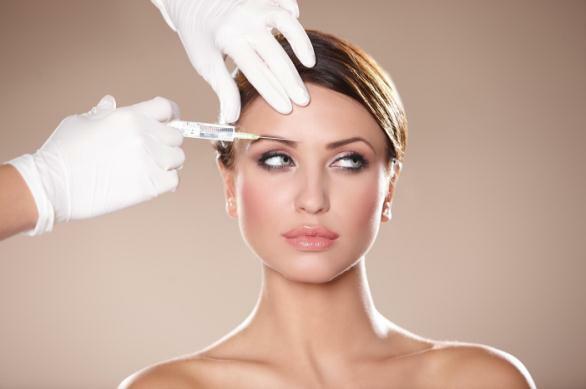 Will I be able to handle the maintenance of Botox injections? You will need to get new injections every couple of months to maintain your results. This is sometimes considered a blessing in disguise because if you decide you're unhappy with your results… You merely have to wait for them to wear off. Additionally, if you ever decide to try a more drastic procedure, such as a facelift, it's extremely unlikely your past Botox injections will interfere with the operation.